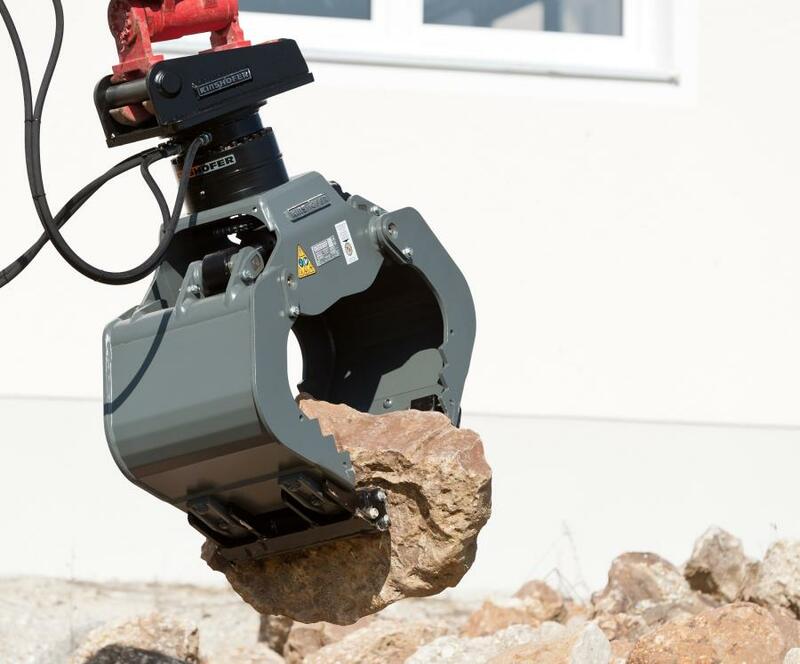 The HPXdrive system is compatible with Kinshofer’s multi-purpose grapple, demolition and sorting grapple, clamshell bucket, timber or rock grapple and with the NOX-Tiltrotator. Kinshofer has introduced the low-maintenance HPXdrivesystem, which forms a new generation of grab technology with greater performance and longevity. 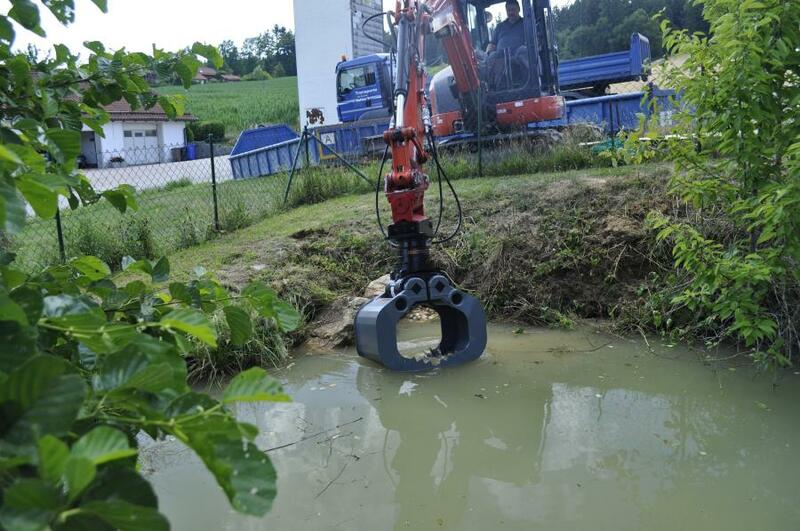 Historically, the open and close functions of attachments were achieved by using hydraulic cylinders. However, this technology, which has been tested and proven reliable by Kinshofer customers worldwide, features two shafts which run opposed and have a helix thread. It is hydraulically driven by a single piston. This design gives the HPXdrive a longer lifecycle and allows it to deliver full and constant closing force throughout the entire open and close cycle. 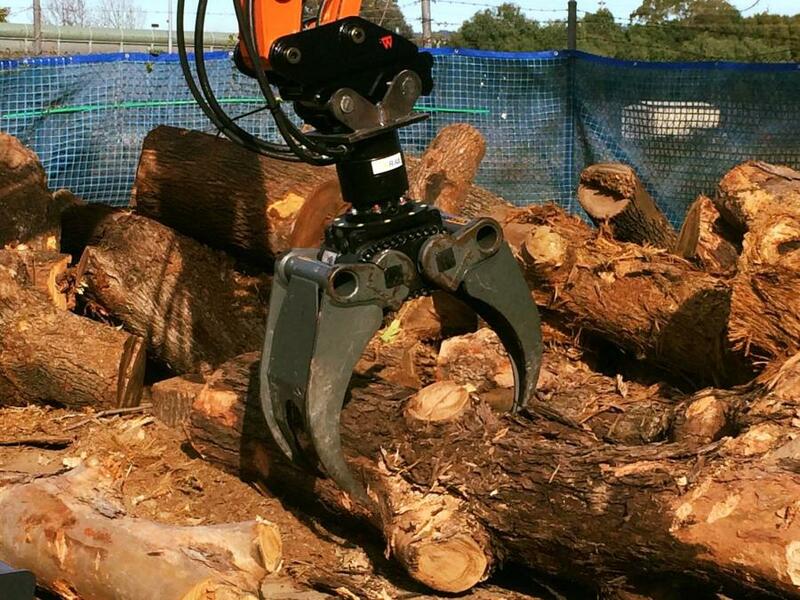 The HPXdrive system is compatible with Kinshofer's multi-purpose grapple, demolition and sorting grapple, clamshell bucket, timber or rock grapple, NOX-Tiltrotator, and also for special attachments like the forceps grapple. "As a company, we are always engineering new ways to improve productivity and profit potential for our customers. That effort is clear with this new technology," said Francois Martin, Kinshofer North America general manager. "The HPXdrive achieves high and constant closing force during the entire cycle, allowing contractors to complete jobs faster. In addition, the tool is almost maintenance free, making it extremely cost effective." The HPXdrive system delivers full closing force from the beginning of the process, when the shells are in the open position, to the end, when shells are closed. The constant closing force ensures optimal strength and powerful penetration even in tough soil or while handling heavy material. Operators also will experience improved gripping capabilities and precise positioning due to the high constant closing force. Additionally, all moving parts in the HPXdrive continually run through a self-lubrication oil bath. 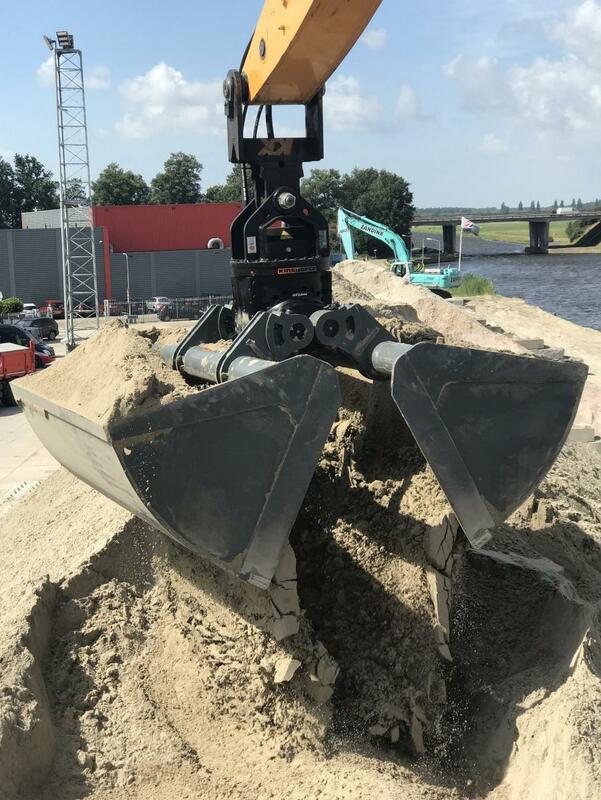 This leads to a long service life with very little wear and tear and required maintenance, resulting in a minimum 50 percent longer lifecycle compared to conventional hydraulic attachments, according to the manufacturer. Kinshofer achieves the HPXdrive's compact design and low overall height by building it with a fully enclosed system with no protruding parts, such as cylinders and short hoses — which also reduces the risk of damage. The compact unit is resistant to dirt, blows and uprising material. The internal oil feed-through eliminates external hose connections, protecting the drive unit against leaks or hose ruptures. Contractors also can use the system for underwater applications due to its waterproof design that features no greasing points or short hoses, with no loss of oil for contaminate-free working. Operators using just one drive unit can change from one application to another within minutes. The new integrated shell exchange system makes replacing shells fast and easy. By simply loosening eight retaining bolts, contractors can switch to the most effective tool for the task at hand. Kinshofer offers different types of shells for various applications. Due to the wide range of standard or custom-built shells, there is no need for time- and cost-intensive changes between different carrier machines, or additional manpower. The HPXdrive system provides a solution for various applications including construction, loading and unloading, recycling, raw material extraction, maintenance and refurbishment. By combining the extremely low-maintenance HPXdrive with fast and easy shell exchange, contractors not only reduce downtime, but also the amount of time required for each job. New to the HPXdrive range is the large C40HPX re-handling clamshell, for excavators up to 40-ton operating weight. This has been working successfully for some time within Dutch ports, proving many reliability, flexibility and eco-friendly benefits. Kinshofer's aim is to continue developing the range, responding to customer need and listening to feedback at all times.